Yes, I know it says “Random Walks”, but at least today the trip did involve some walking as the river levels and tide were low. 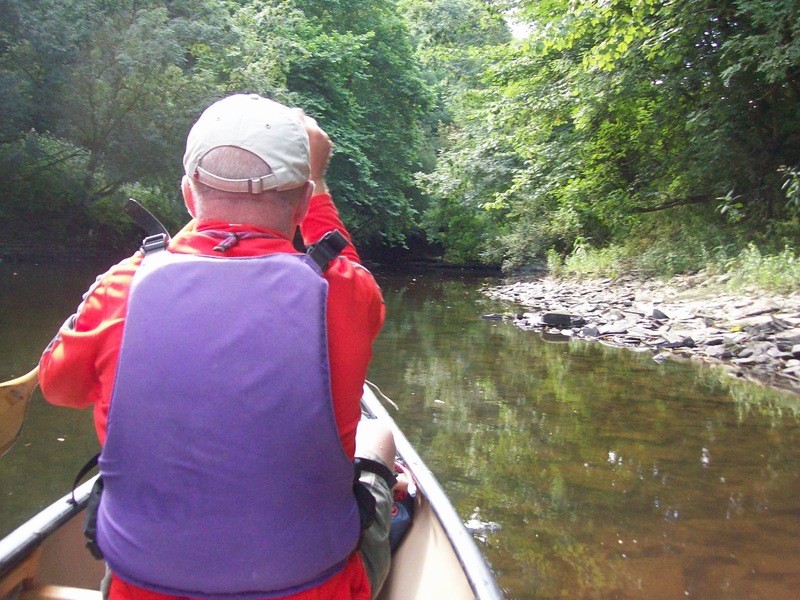 With the weather looking good for Saturday (31st August) I thought I would introduce Paul to canoeing but the shuttle aspect with one car is a non starter. 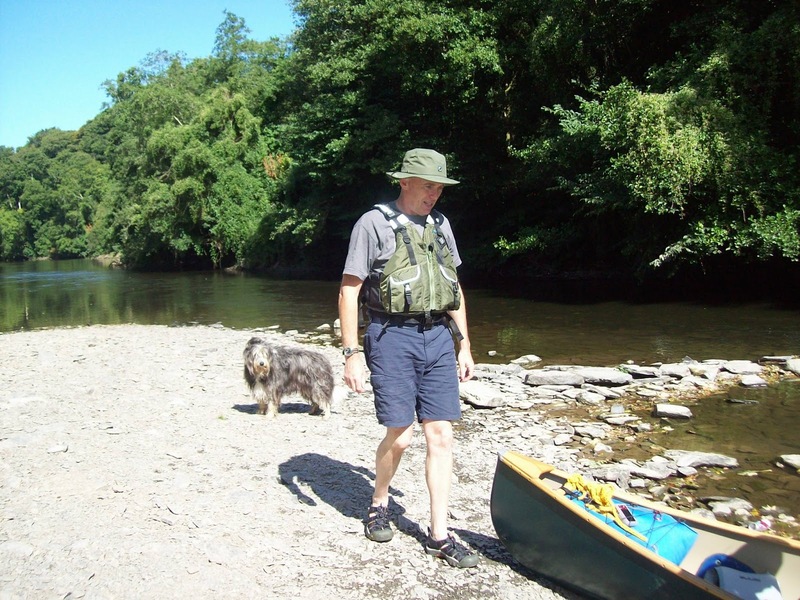 However Nigel another canoeing buddy phoned to suggest a trip on the Teifi and the shuttle problem disappeared. 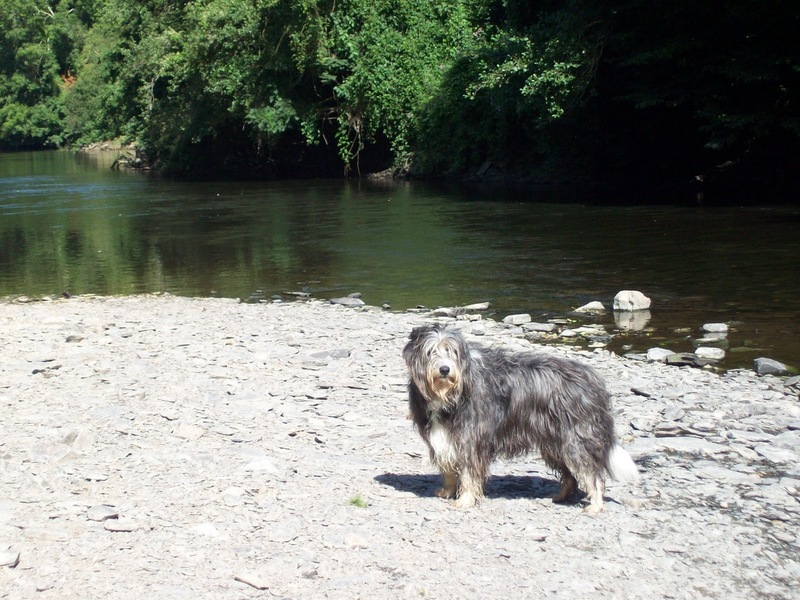 We met up at Llechrhyd bridge together with Nigel’s wife Sue, his daughter Isobel and Bonnie the bearded collie. Nigel and I drove to Patch and left his van there and hightailed it back and launched. The river was very low, which with the lack of rain recently was only to be expected. I should add that this was Paul’s first long paddle and so far he was doing well. 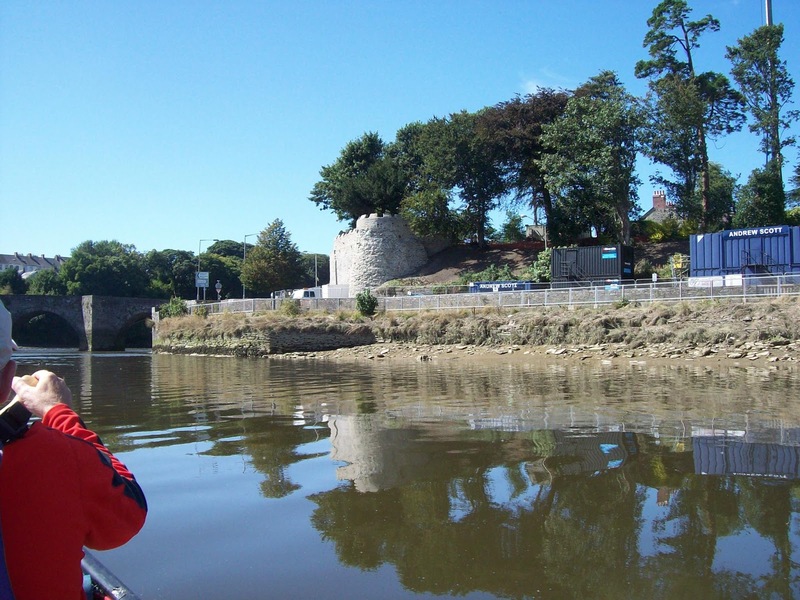 We had a coffee break under Cilgerran Castle before paddling on. The water was mirror calm with lovely reflections but sadly no otter sightings. 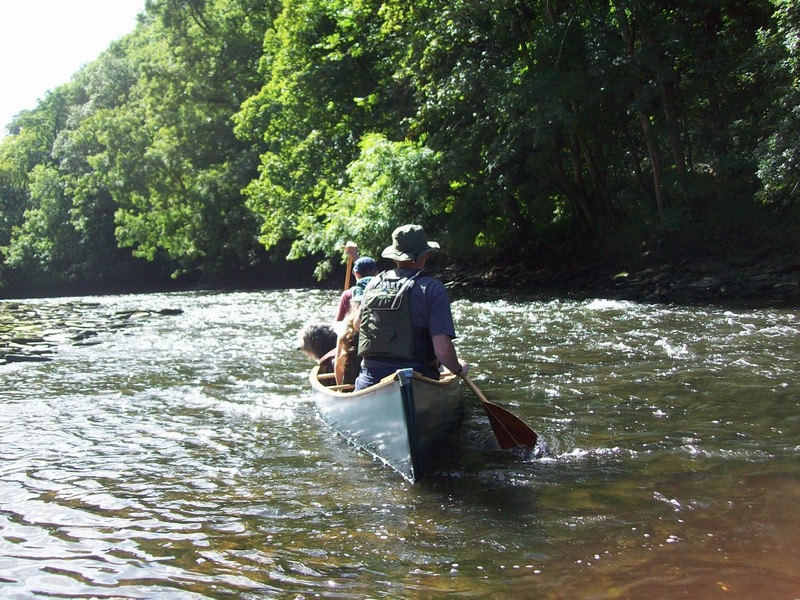 As we approached the first small rapid Paul was instructed to kneel and we bounced through and even managed some ferry gliding. Bonnie was quite non-plussed in Nigel’s boat as they played in the moving water. 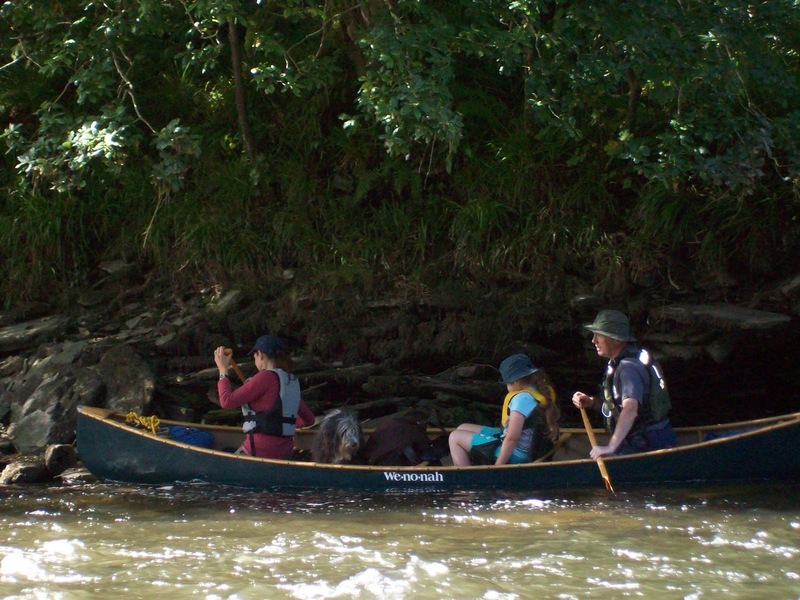 We stopped for lunch just downstream and then carried on to the next rapid adjacent to the Cardigan Wildlife Centre. 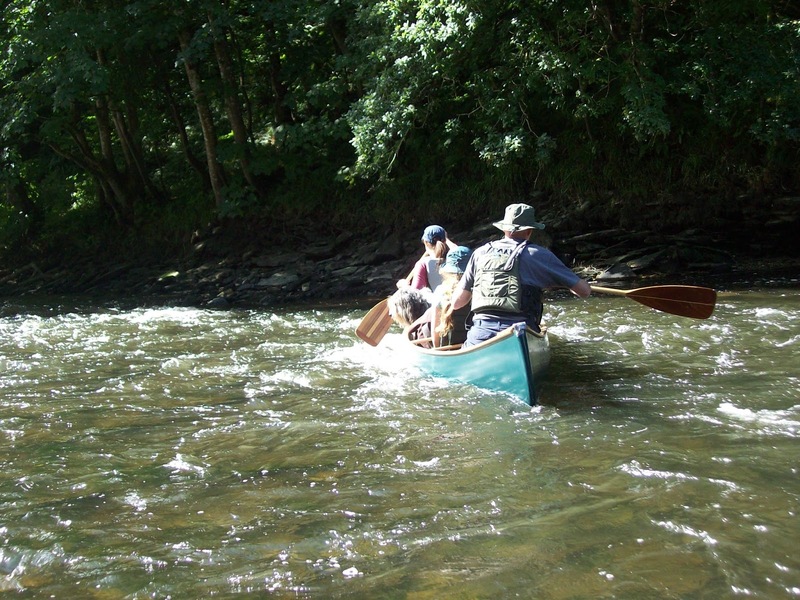 This braided rapid can be shallow in normal levels but today I had to walk the boat part way down. 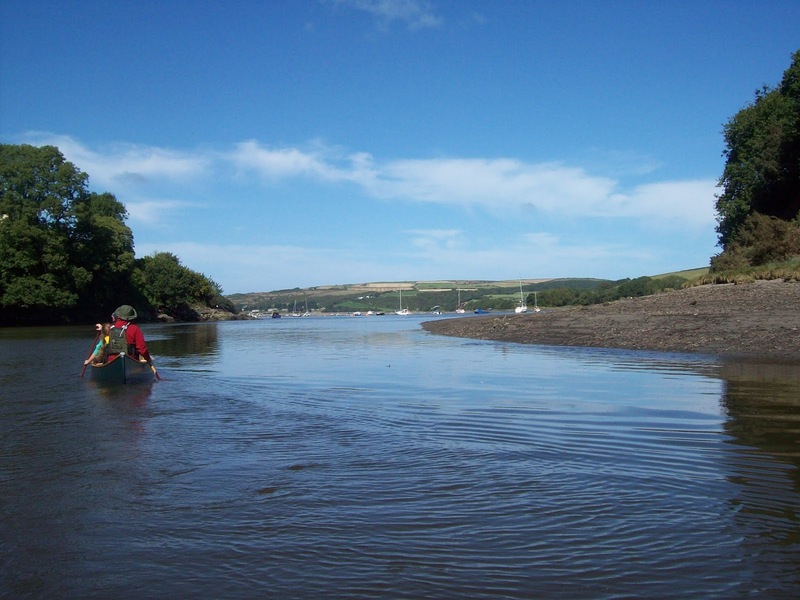 As we entered the estuary the wind was much stronger and as the tide had not made its entrance it was very shallow with again some walking involved. With hindsight an exit at St Dogmaels would have been a better choice, but the van was down in Patch and we struggled on. This was a bit of a baptism of fire for Paul, but I can report he is still talking to me and seems none the worse for the experience. Sue rustled up a nice pot of tea to help us all recover and the day came to a good end. That Bonnie looks to be a bit of a character – are there any stories to tell? Do you have problems keeping the camera dry? I suppose you use dry bags, but it must be a bit risky when you are actually snapping in frisky water. Sorry for delay but back today from two weeks in the sun. 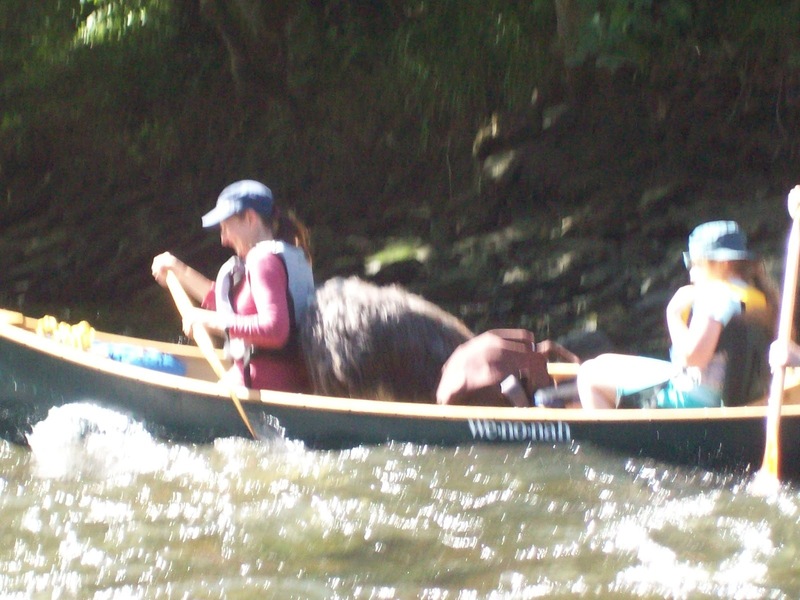 She is a lovely dog and has been on many canoe trips and well behaved. As canoeing used to be my main hobby I do have numerous dry bags etc and my camera is reasonably protected. The days of running rapids and taking photos have now past and I now prefer the journey and water that keeps the pulse in check!